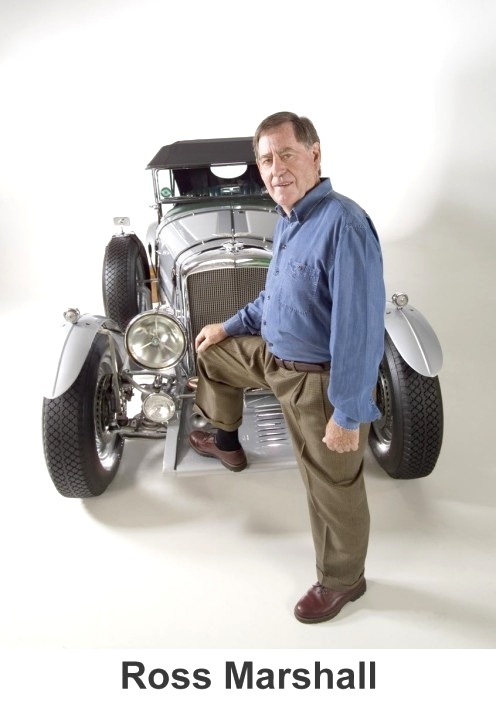 The principal of Marshall Group, Inc. in Knoxville, Tennessee, Ross Marshall has been a car collector and connoisseur of Rolls Royce and Bentley motorcars for over 50 years. He is a life member of The Rolls Royce Owners Club, The Derby Bentley Society, and The Bentley Drivers Club. He is in every sense “car crazy”. In 1935, his Father the late A.J. Marshall esq., established Marshalls Motors in downtown Sydney, Australia. Amongst his first cars were the marquees of Bentley and Rolls Royce. After his education at the King’s School in Parramatta, and engineering at The Standard Motor Company in Coventry, England in 1956, Ross joined the new and used car, truck and Ferguson Tractor Dealership business, with their head office in Parramatta, NSW. This business later became the largest and most experienced Mercedes Benz dealer in Australia. Marshall Mercedes Benz Still flourishes today though the family has since retired from the business. His vast business experience and love for fine automobiles, particularly sporty cars built in the early twentieth century, has led him to his present interest in combining classic design with new technology, reliability, safety, and compatibility with modern traffic and road conditions. As a result he built the Marshall Bentley Special 30/48. This motorcar is a fabulous replica of the famous Bentley four and half Grand Prix car which raced very successfully back in the late 1920’s A blend of old world class and design, with modern features, options and the incredible performance of modern upscale automobiles. The Marshall Bentley Special is currently a one of a kind masterpiece. Click here to see this fabulous motorcar and find out more about it.